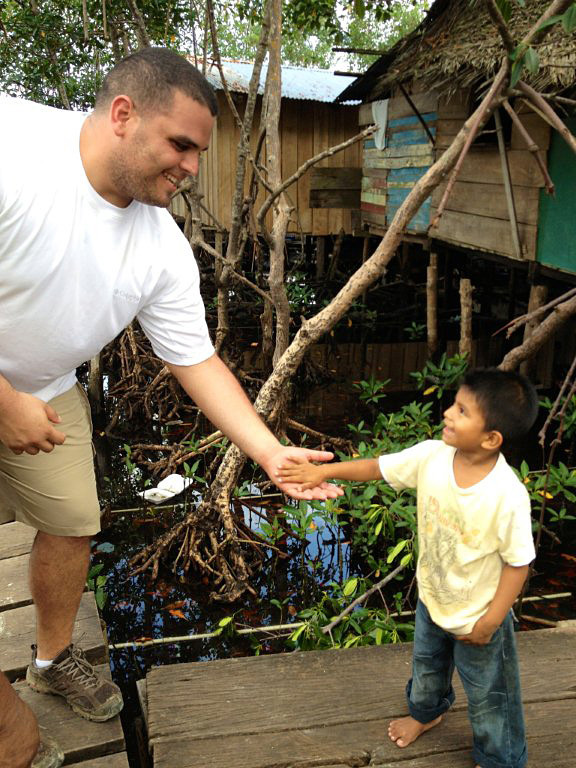 The following was written by three second-year law students, Guillermo Alvarez, Brian Heit and Morgan Nati, about a trip they took to Panama during spring break. The trip was part of Miami Law's Coastal Conservation and Development class, taught by Professor Daniel Suman, who assigned the students the task of researching, reporting and analyzing the legal issues surrounding land disputes in the Bocas del Toro area. The disputes are the result of a spike in local development, as more and more foreigners become attracted to the pristine area for tourism and retirement. Almost all first-year law students cover the basic principles of land possession and land titling as a part of their introductory property courses. As second-year law students, we were excited to expand on these basic principles during our trip to research land disputes in Bocas del Toro, Panama. But nothing in our textbooks prepared us for the challenges we encountered along the way: climbing muddy hillsides with indigenous Panamanians en route to their homelands; balancing on shaky planks over water horribly contaminated by leaking sewage pipes; and learning about violence stemming from the land disputes and allegedly acted out by operatives of the Panamanian government and criminal syndicates. The situation in Bocas del Toro is succinctly illustrated by a local adage regarding natural resources: "Se vende Panama," which translates as "Panama is for sale." The three of us were vividly exposed to these realities during our ten-day trip. Professor Suman, a Panamanian with many years of legal expertise and involvement in Bocas del Toro's land disputes and development issues, made sure that we quickly became conversant with the issues faced by the indigenous people there. A fundamental problem, Dr. Suman explained, is that many of the indigenous people have never acquired proper legal title to land that their families have occupied for generations. Instead, their right to possession and use was peacefully, but unofficially, accepted by the community and the government. This passive acknowledgment of land possession changed about 20 years ago, as foreigners gradually became focused on the area's pristine beaches as ideal for tourism and retirement. As the interest increased, so did the monetary value of the land. The situation was a perfect recipe for chaos, corruption and violence as outsiders attempted to appropriate the land for development or personal use. After learning the basic facts from Professor Suman, we were ready to travel around the area, speak with people in their homes, gather data, and figure out how we could help. We visited three communities and spoke with their leaders, known as Caciques, about their desperate fight to remain on their native soil. One of the areas we went to was Bluff Centro, a rural community of indigenous people from the Ngöbe tribe a few miles outside the town of Bocas del Toro. Without knowing our exact destination, we traveled down a winding road and were dropped off at a muddy path, surrounded by dense tropical forest. The local people laughed as we tried to navigate the steep, slippery hillside in our sneakers. Even in the face of laughter, we persevered through the knee-high mud, crossing a slick, unstable log bridge over a running stream, which tested our will to finish our mission. We finally made it to a breathtaking bluff, in the midst of vibrant green foliage, with smiling Ngöbe tribesmen, women and children curious about our presence. The village chief showed us his home, which he had built by hand, using timber from his land and thatch for his roof. He then related the details of the Bluff Centro land dispute, which had recently turned violent. Allegedly, Bluff Centro's "rightful owner" is Mario Guardia Durfee, an Italian citizen who owns land adjacent to Bluff Centro and whose goal, according to the chief, is to evict the tribe and then develop the land into a vacation property. The dispute has prompted at least one tragedy, according to members of the tribe: A Ngöbe boy who had apparently trespassed onto one of Durfee's properties was slaughtered with a machete. We could see the pain in the chief's eyes as he explained his people's situation. His anguish awakened us to the reality that our assignment had become more than an academic pursuit. It was, suddenly, a mission to protect a tribe's links to their land, their homes, their traditions, and their connections to their ancestors. We returned to Miami different than when we had left. We have a broader view of the role of legal systems and of the problems created when a country's legal system is drastically inadequate. We have a greater appreciation for the strength and resilience of the Ngöbe people and similar groups facing those kinds of situations. We formed friendships with one another that will last a lifetime. 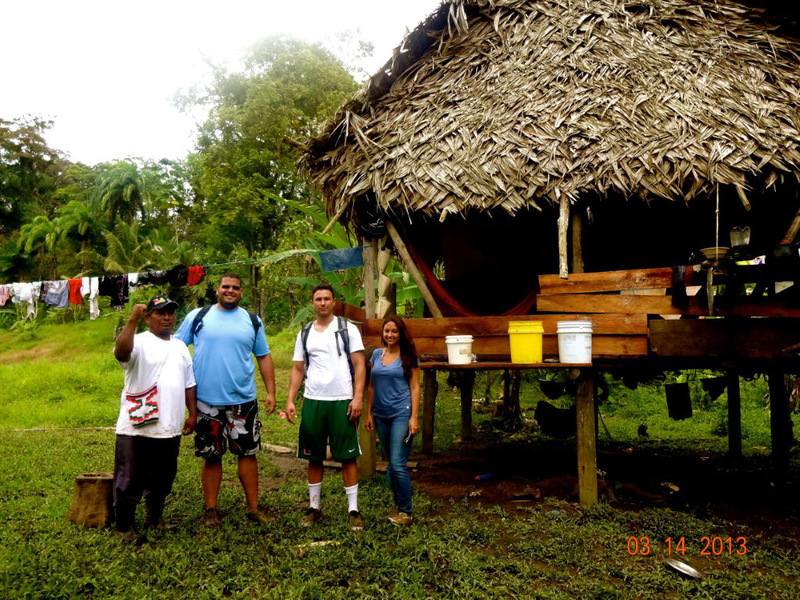 Finally, we found a new mission: To spread the word about the challenges the indigenous people face in Bocas del Toro, to support them as they face displacement, and to ensure that they are not removed from their lands in the way that the native people in the United States were. For more information about the current and future projects of our working group, and about the land disputes in Panama, please write an e-mail to mnati@law.miami.edu.